Varuby (rolapitant) is a new NK1 antagonist licensed for the prevention of delayed nausea and vomiting associated with highly or moderately emetogenic chemotherapy. 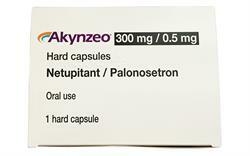 Rolapitant is a competitive antagonist of human substance P/neurokinin 1 (NK1) receptors. It is rapidly absorbed and slowly eliminated. Varuby is administered as a single 180mg dose (two tablets) within two hours of the start of each chemotherapy cycle, but at no less than two-week intervals, as part of a combination regimen including dexamethasone and a 5HT3 antagonist. Two phase III trials compared a rolapitant regimen (rolapitant 180mg plus iv granisetron and oral dexamethasone; n=535) with a placebo-based control regimen (placebo plus granisetron and dexamethasone; n=535) in patients receiving a highly emetogenic chemotherapy regimen including cisplatin ≥60mg/m2. The primary endpoint of both trials was complete response (defined as no emetic episodes and no use of rescue medication) in the delayed phase (>24 to 120 hours) of chemotherapy-induced nausea and vomiting. In this phase, a significantly greater proportion of patients achieved a complete response in the rolapitant groups than in the placebo groups (71% versus 60%, p=0.0001). Similar results were observed in a third phase III trial involving 1369 patients receiving moderately emetogenic chemotherapy including anthracycline/cyclophosphamide-based regimens, who were randomised to a rolapitant regimen (rolapitant 180mg plus oral granisetron and oral dexamethasone; n=666) or a matching placebo-based regimen (n=666). A complete response in the delayed phase was achieved by a significantly greater proportion of patients in the rolapitant group than in the placebo group (71% versus 62%, p=0.0002). 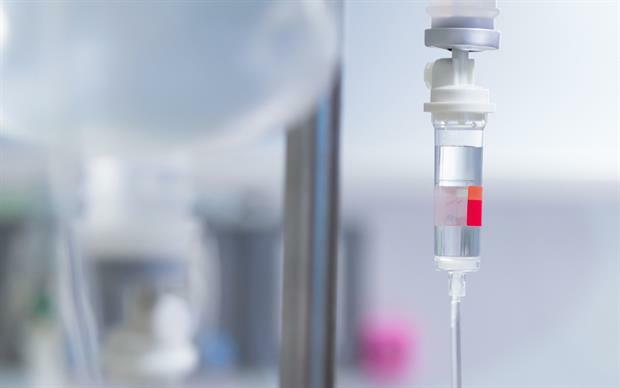 In addition, patients who received rolapitant reported experiencing less nausea that interfered with normal daily life and fewer episodes of vomiting over multiple cycles of chemotherapy.